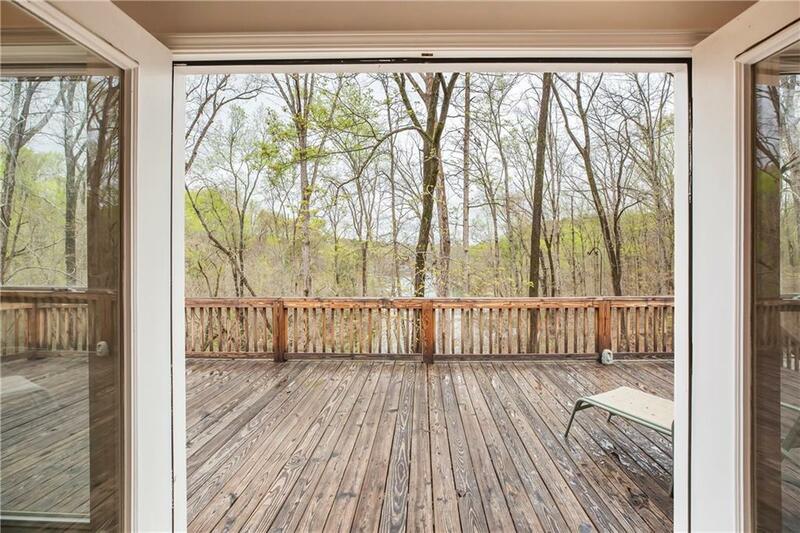 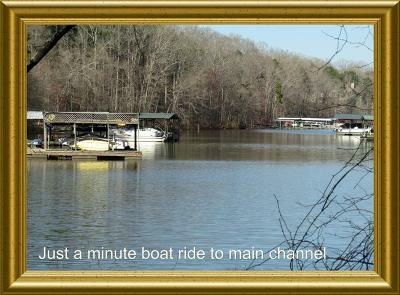 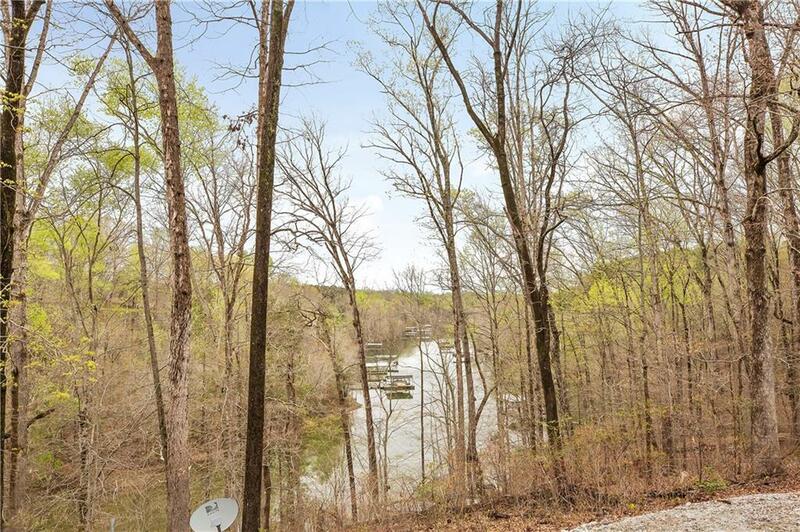 Rare find - acreage, creek with waterfall AND Lake Hartwell water frontage with dock already in place. 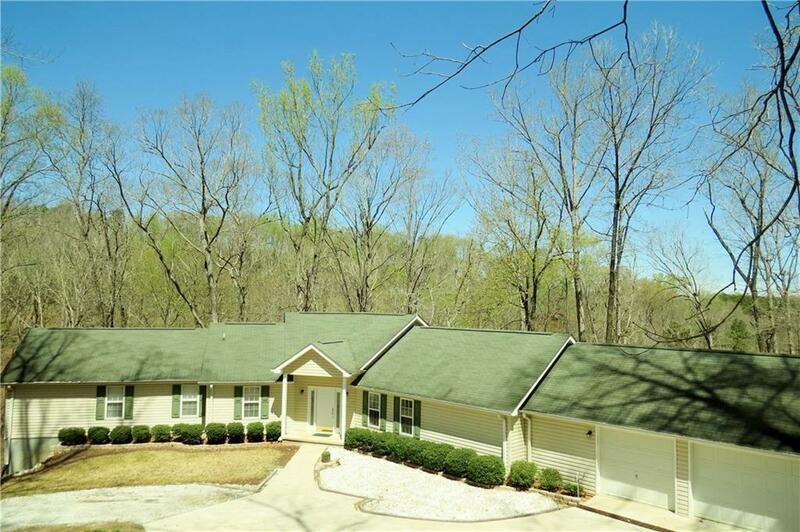 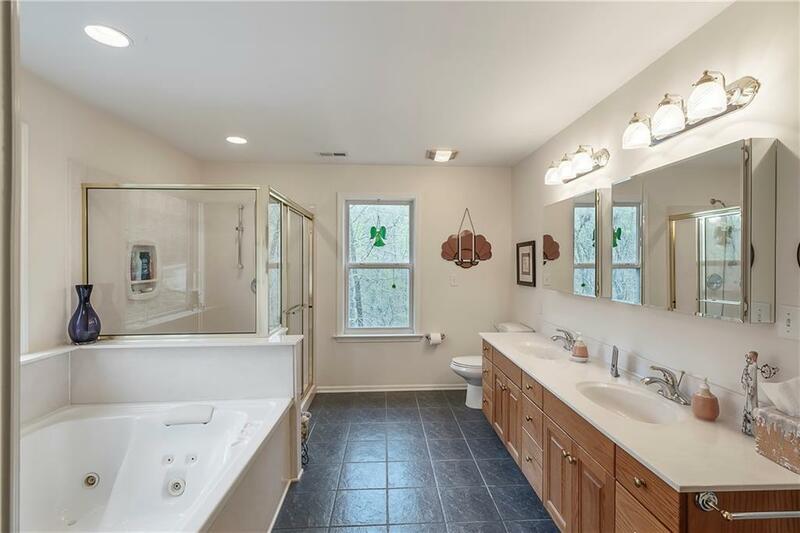 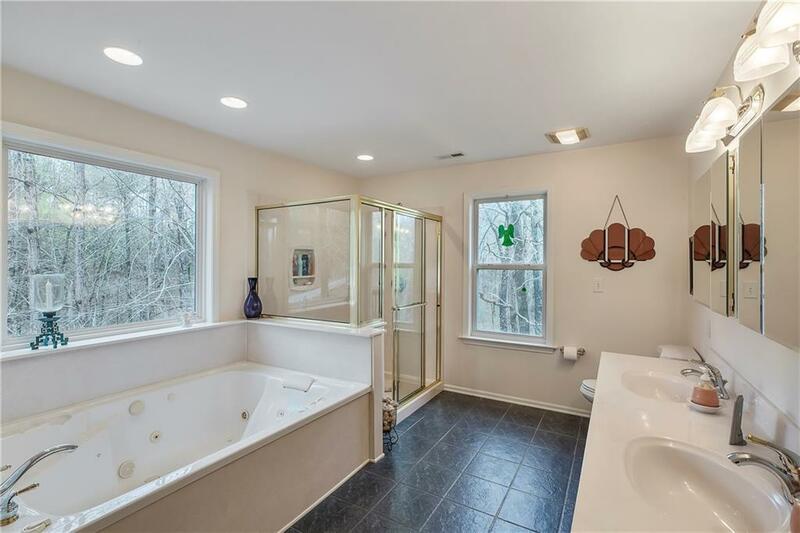 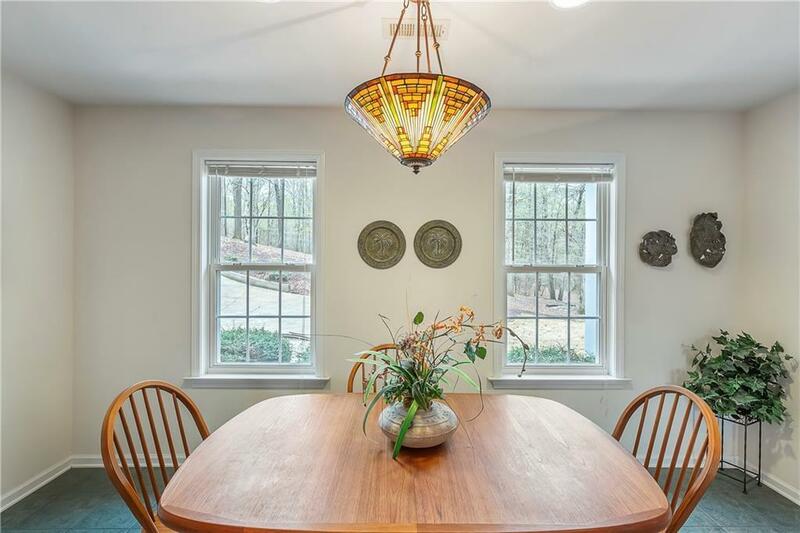 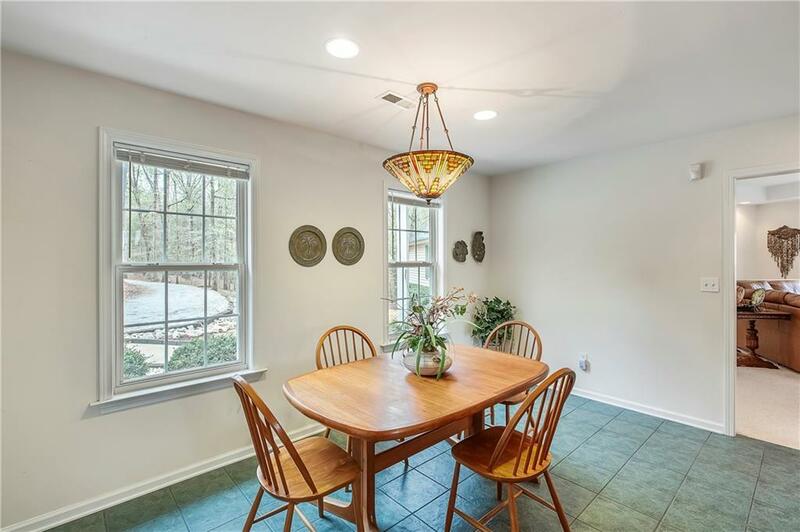 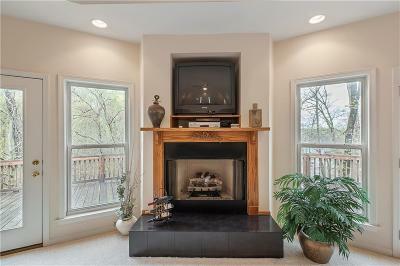 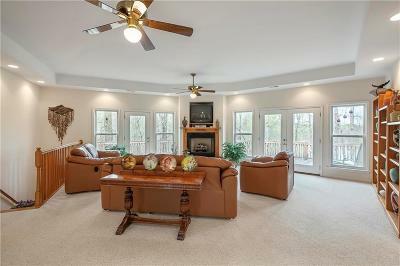 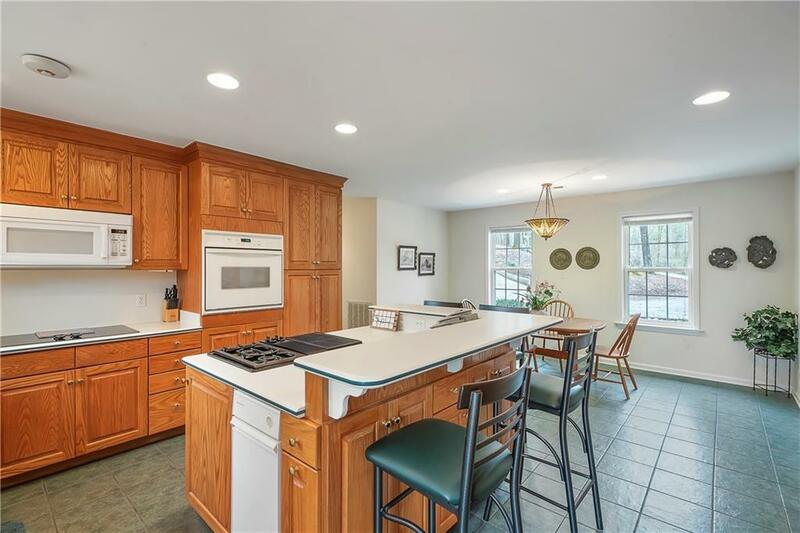 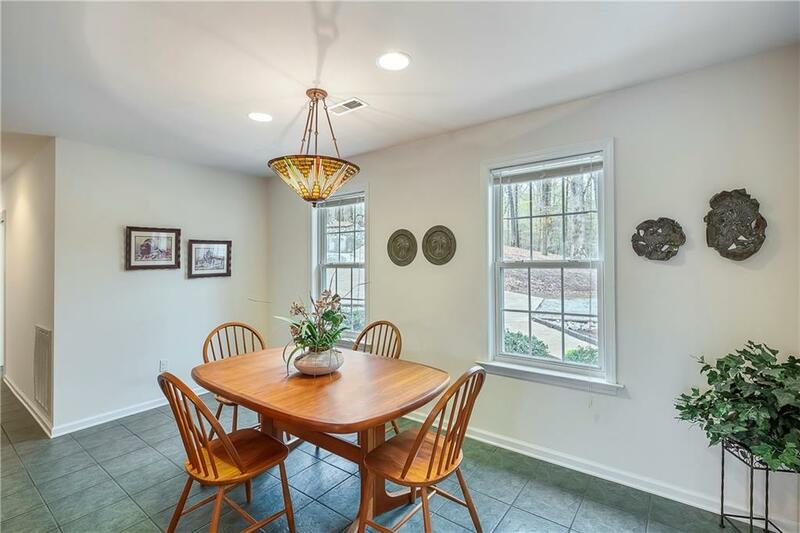 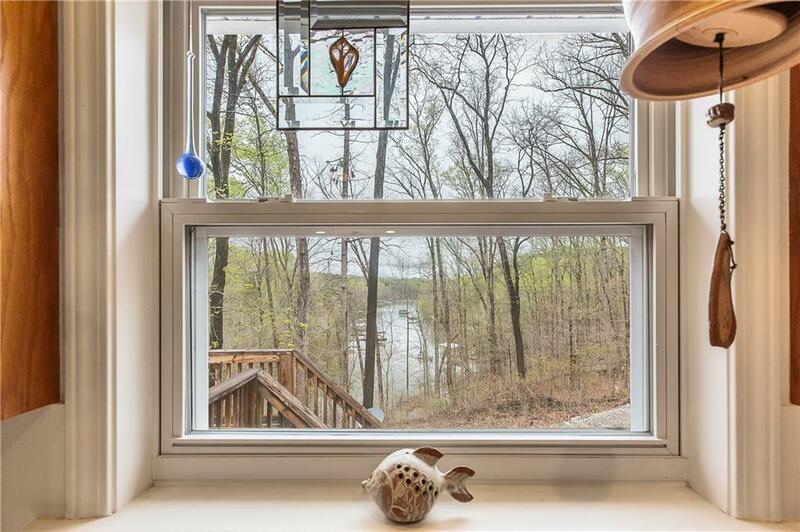 If you like nature and privacy, you will love the woods surrounding three sides of this home with over 13 acres. 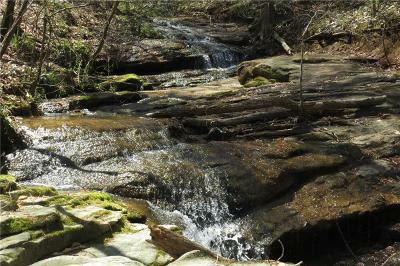 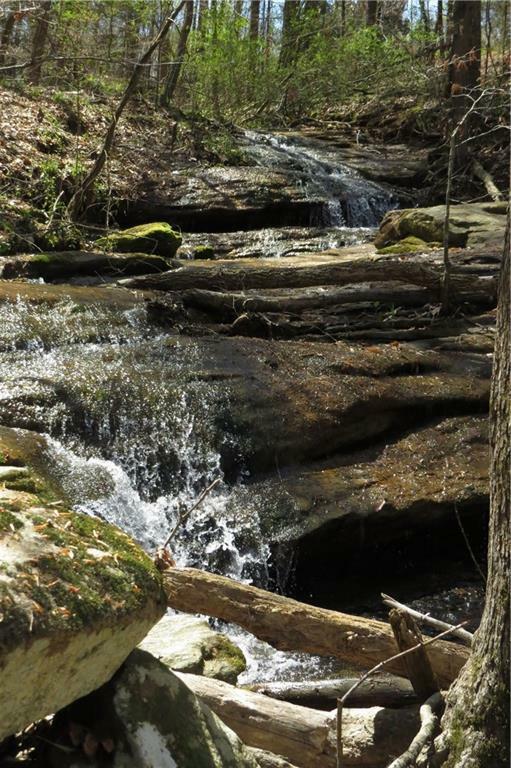 From the wrap around deck, you can see and hear the creek flowing over the rocks creating at least three waterfalls. 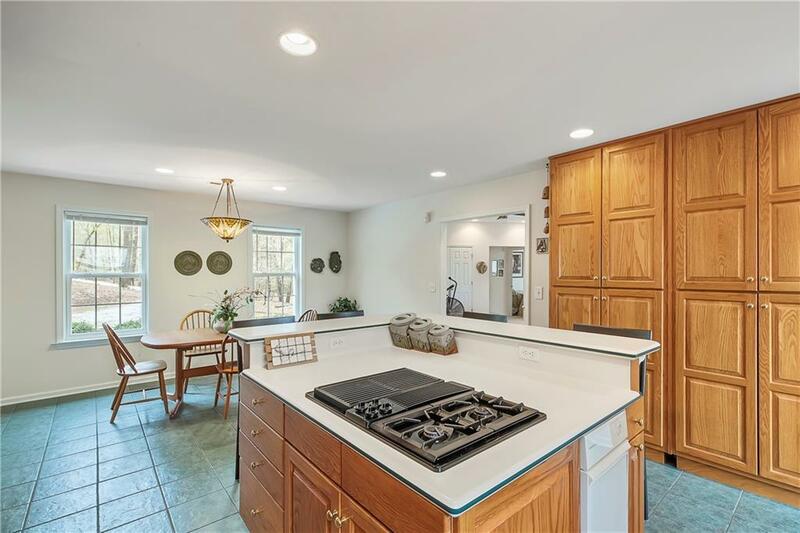 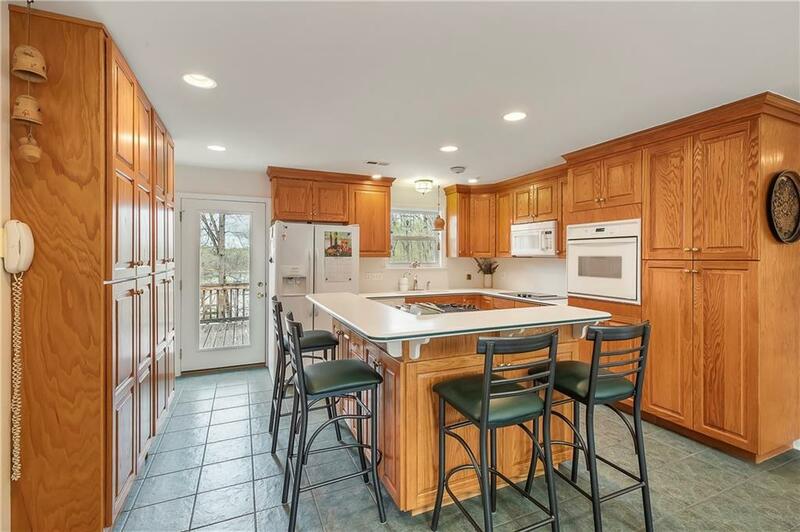 Spacious eat-in kitchen with both gas and electric rangetop, wall oven, pantry and lots of other storage. A beautiful view of the lake makes kitchen work more enjoyable. 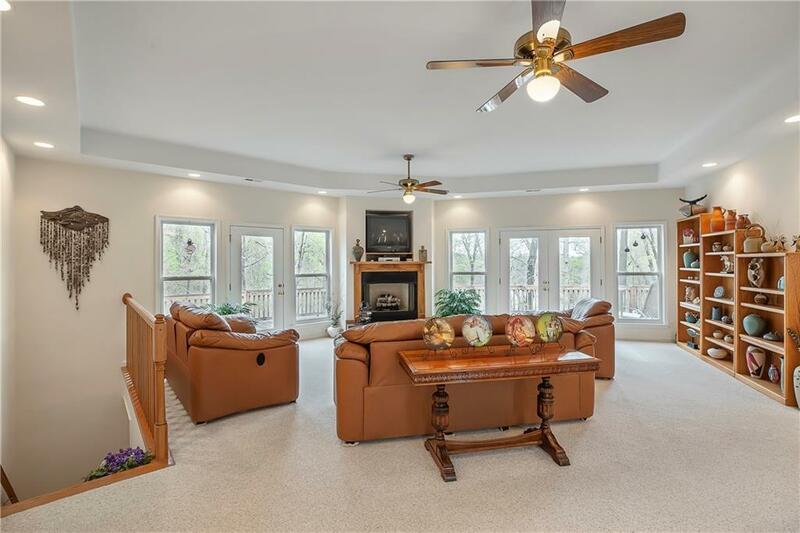 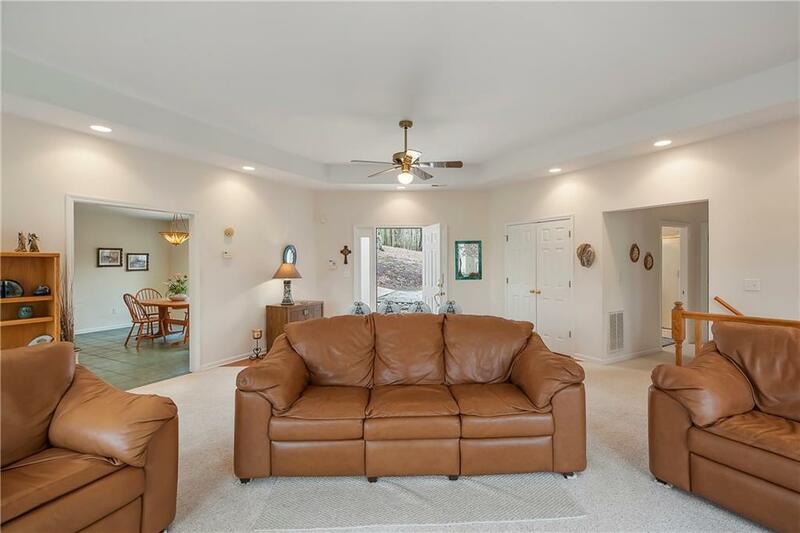 The focal point of the living room is a gas fireplace surrounded by windows and lead to the wrap-around deck that is accessible from kitchen, living room, master bedroom, and the other two bedrooms on the main level. 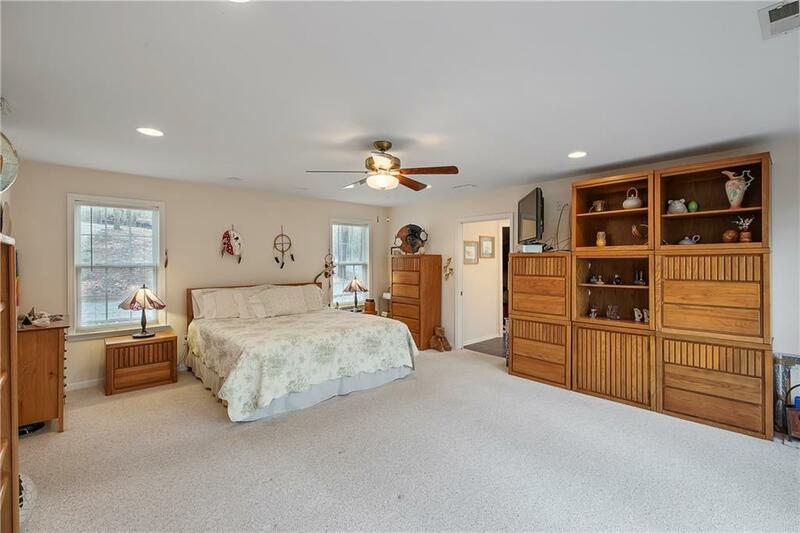 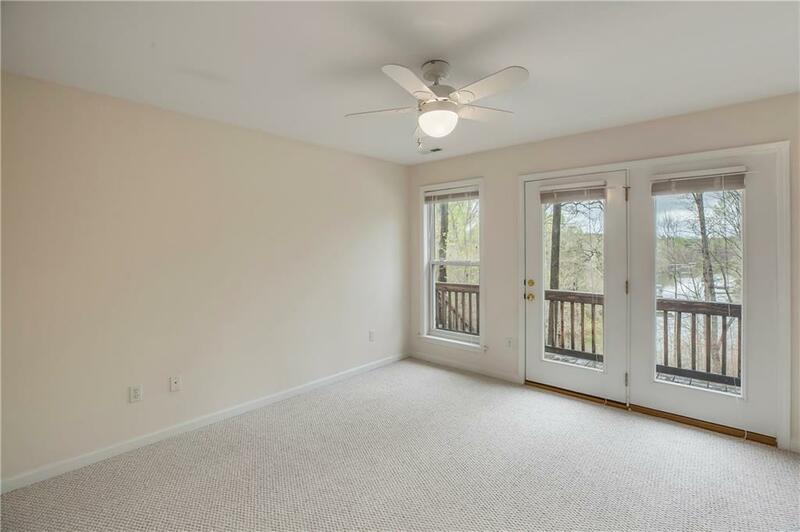 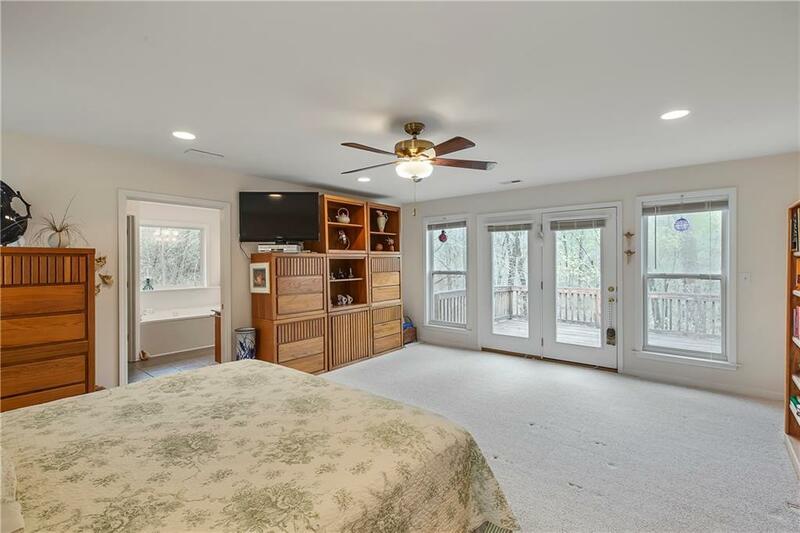 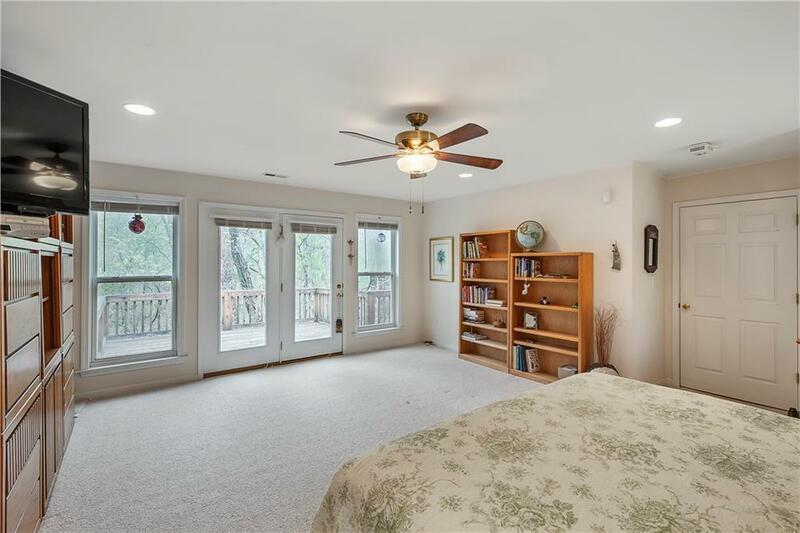 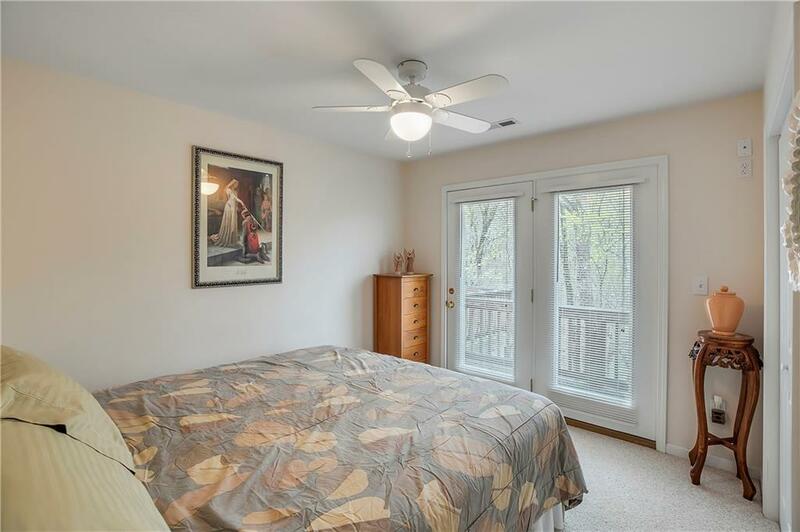 The 19'7" x 19'1" master bedroom holds your extra large furnitue and still have room for a couch or chairs to sit near the window and read or just look out at nature. 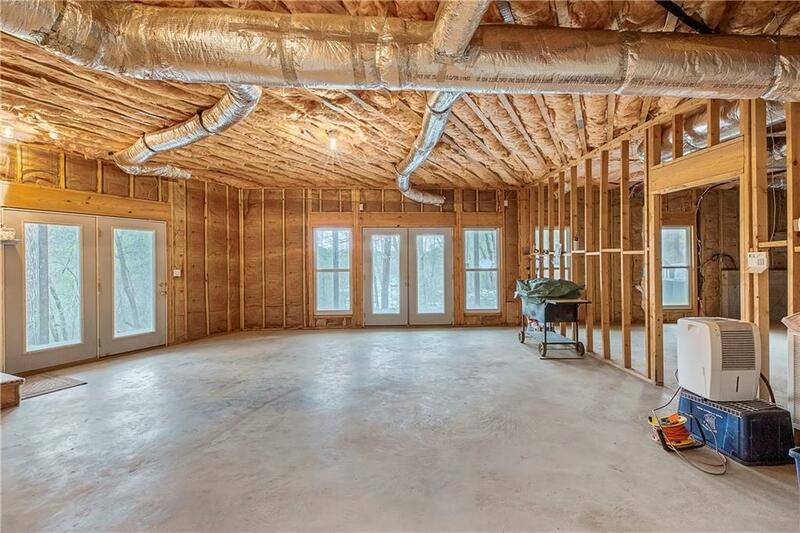 The basement is unfinished and could be a mother-in-law suite as it is already plumbed for a kitchen and bath. 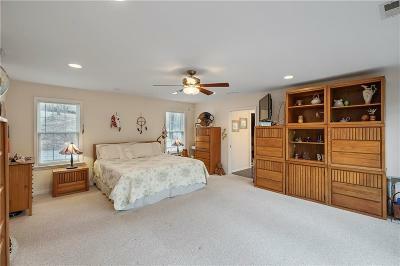 Or build an at-home gym and rec room or a home theatre. 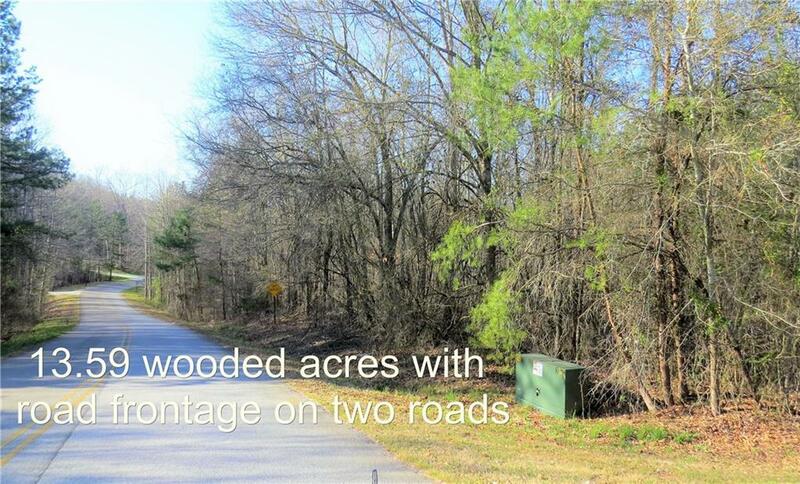 Keep the acreage for yourself or develop the interior lots. 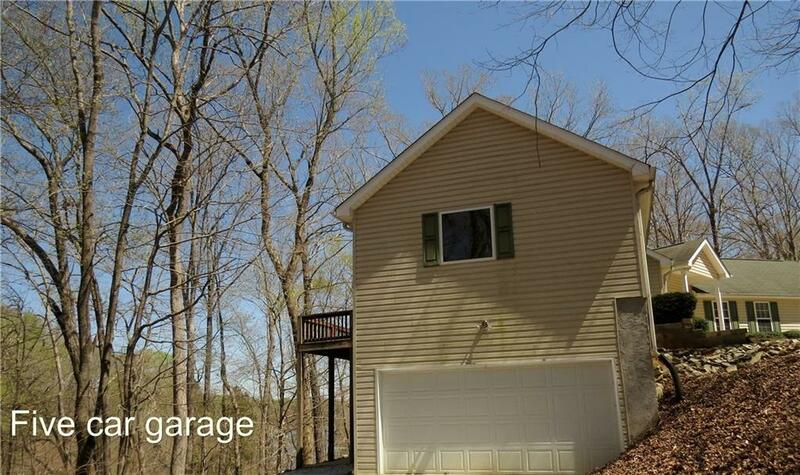 Three car garage on the main level and two car garage on basement level. 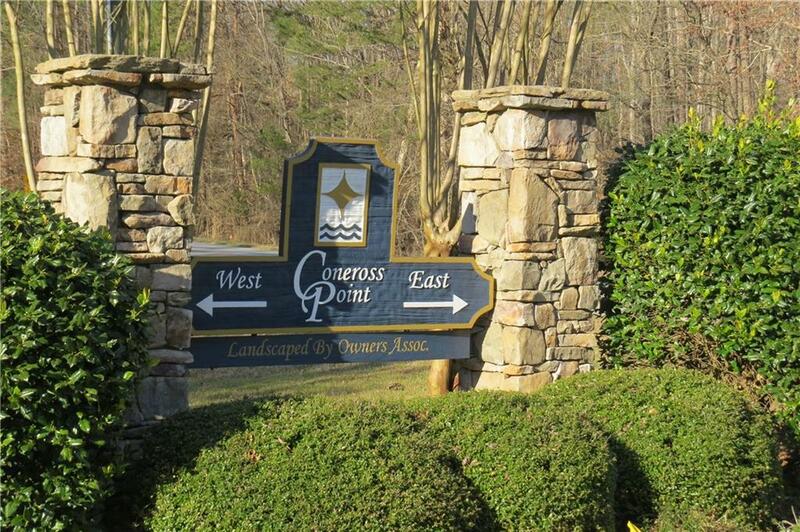 Road frontage on Coneross Point Drive and Loblolly Pine. 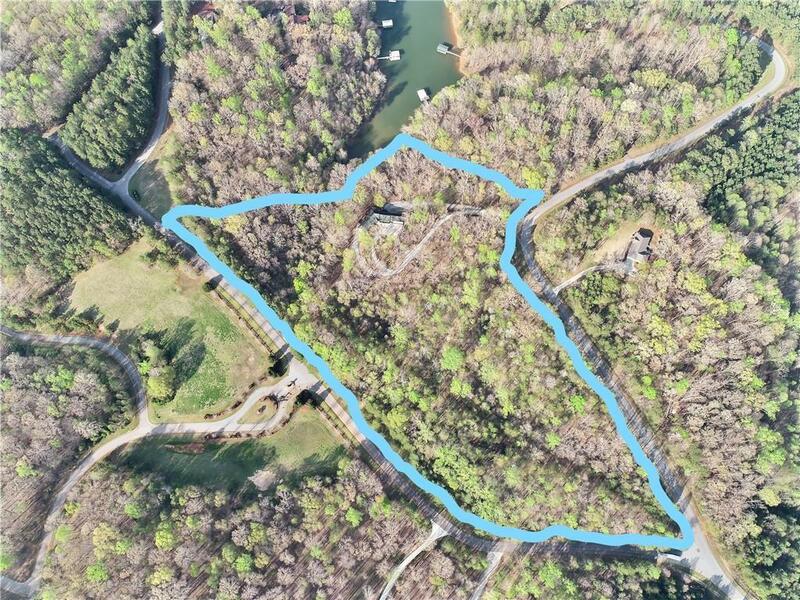 Drive a golf cart or ATV to the lake on the concrete path. 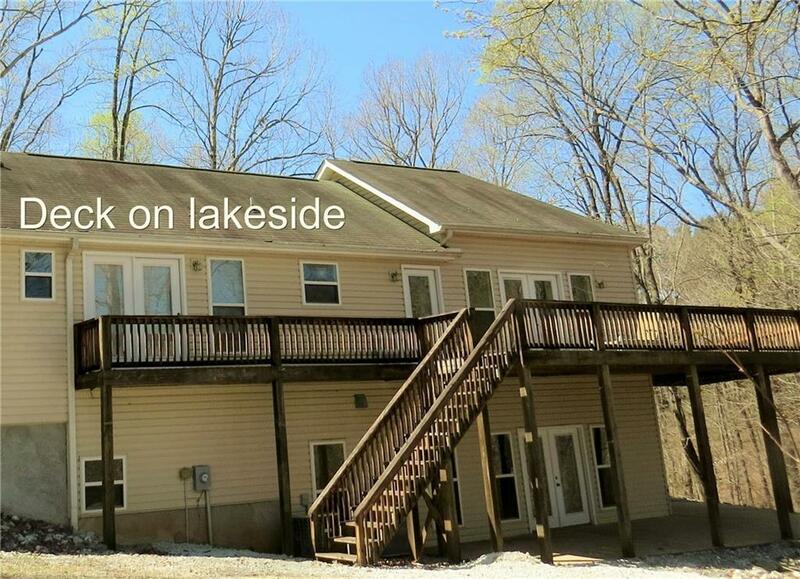 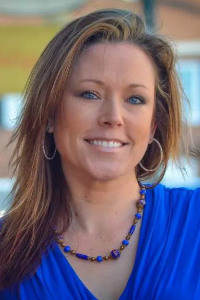 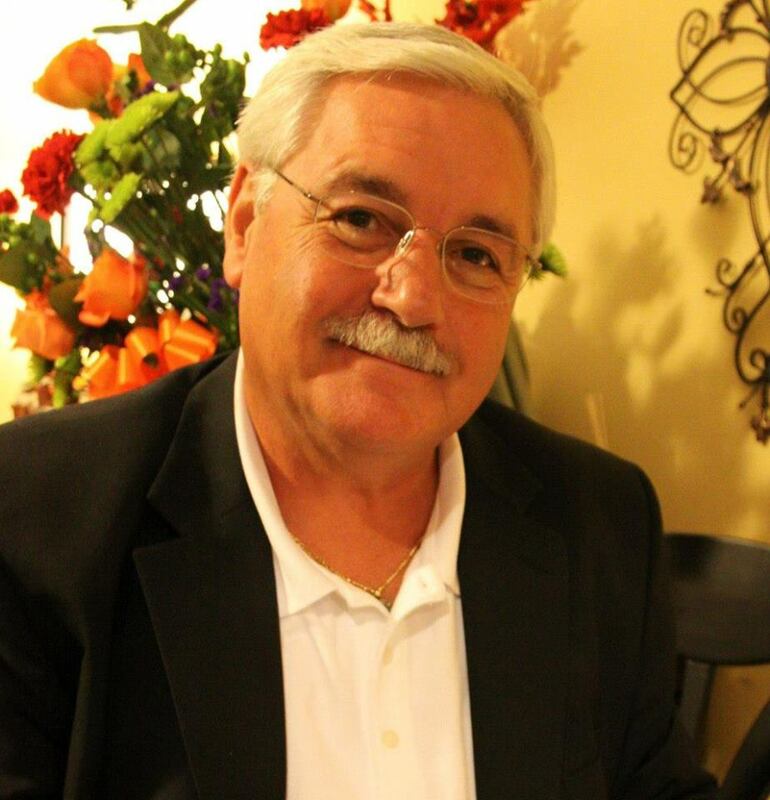 All this and year-round views of Lake Hartwell make this a one of a kind find in Western Upstate so call today!